I live in Ruili right now. 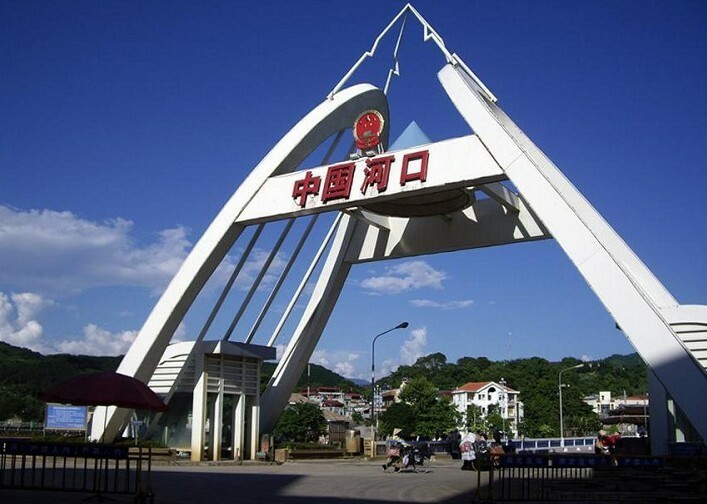 The main function of the city itself is a trade point between Myanmar and China. It has a lot of hotels, but as for recommendations I don't really have many. Ruili the town mostly has a lot of jade, food, and clothing stores, but is a cool smaller city with a kind of busy night life with some (Chinese style) clubs and a LOT of arcades in various stages of decay. It seems fairly safe to me so far. Burmese workers here speak a fair amount of English, and though they are kind of pushy seem generally nice. I wouldn't recommend buying any jade without doing a lot of research or knowing someone who does, though. Jiegao is the special economic zone across the river. You can find more jade stores, a duty free shop for cigarettes and such, and a lot of toy and other shops. If you go along the fence, you can see Myanmar locals hopping over illegally, and sneak through the fence for a border shot if you're feeling particularly headstrong. Just don't get caught. Chinese and Burmese can cross easily, but anyone else needs a permit and a guide to cross the border. Red taxis that drive around all through Jiegao and Ruili will take you across the river to the other city for 5 yuan, but won't head there until they've picked up other folks. Also, they won't pick you up without a specific destination(Jiegao is not enough). Regular taxis charge 10 yuan from any of the bus stations to as far as S321, but you need to agree on a price before you leave. Anywhere farther is at least 15. There is a cool park next to the river that most locals say is their favorite place to go. They also have some great kebab places there, and it's a nice place to spend the day. Next to it is a Dai village center, where the Dai people have gatherings on a semi-regular basis. They had a stage set up and were dancing for the Water Splashing Festival, which is probably the best time to visit this city. I hope that's enough. Drop me an email if you have any other specific questions and I'll do my best. You cannot cross into Myanmar without a travel visa according to the head border official in Muse. The only way to to apply for a visa is through Kunming, and the only visas offered are for fly-in destinations. There is a work around from Ruili where you can hire a car (read: guided tour) in Ruili to take you across for either 3 or 8 days. That is the thing that is allowed, and that's the legal grey area. My Chinese wasn't good enough to understand all of what the guy was saying, but that was the gist.